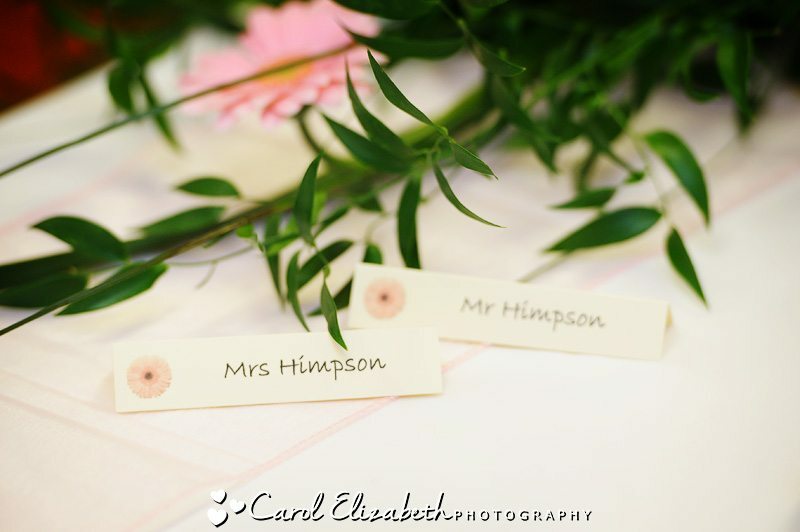 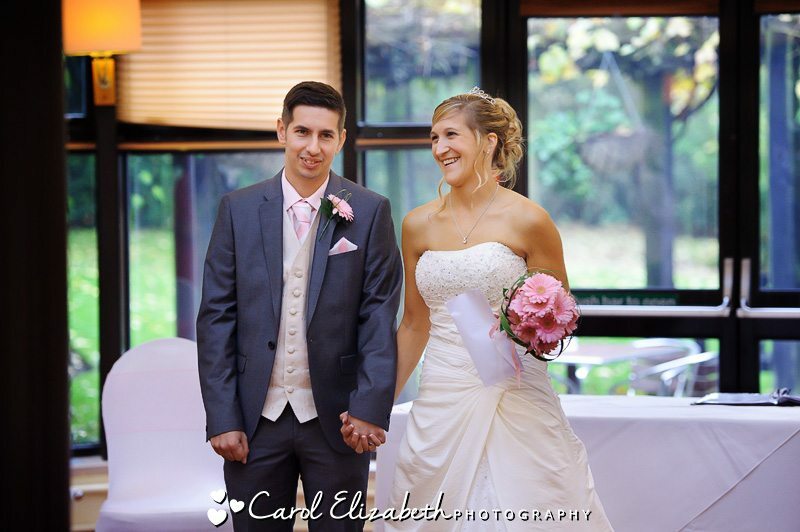 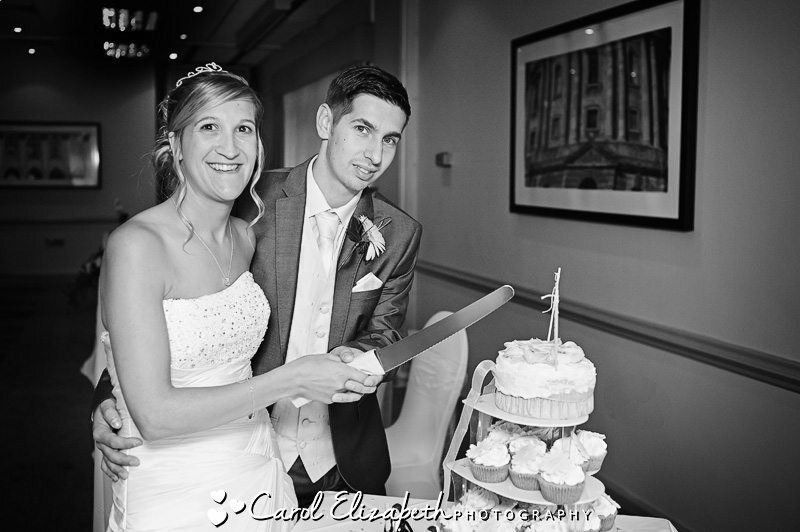 I had the pleasure if being Nichola and Nathan’s Abingdon wedding photographer for their Four Pillars Abingdon wedding. 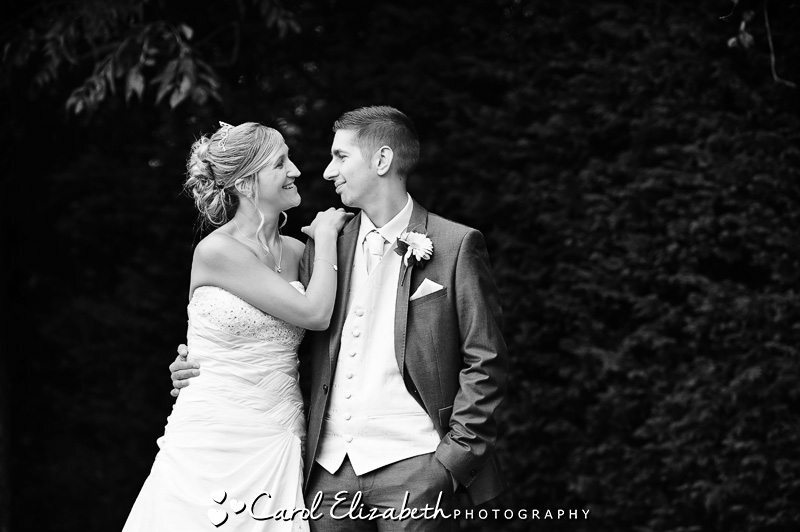 Like so many lovely couples I photograph they were so excited about their big day. 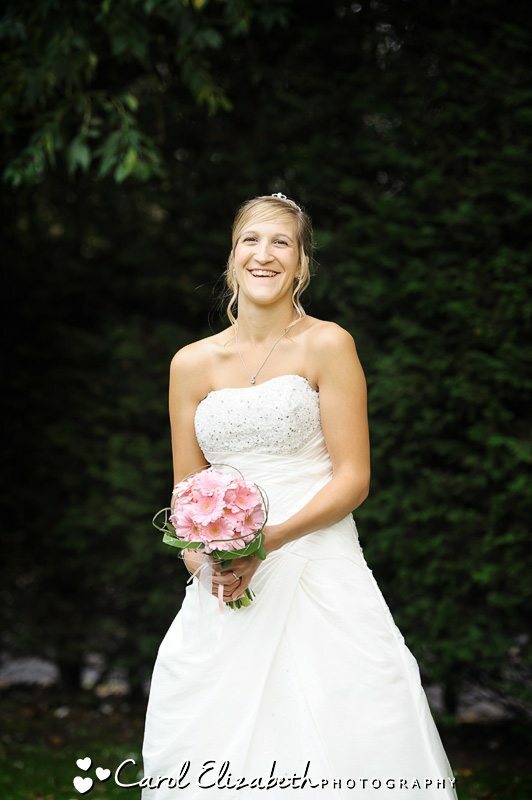 Nichola wanted to look and feel like a princess, which she most certainly pulled off in style! 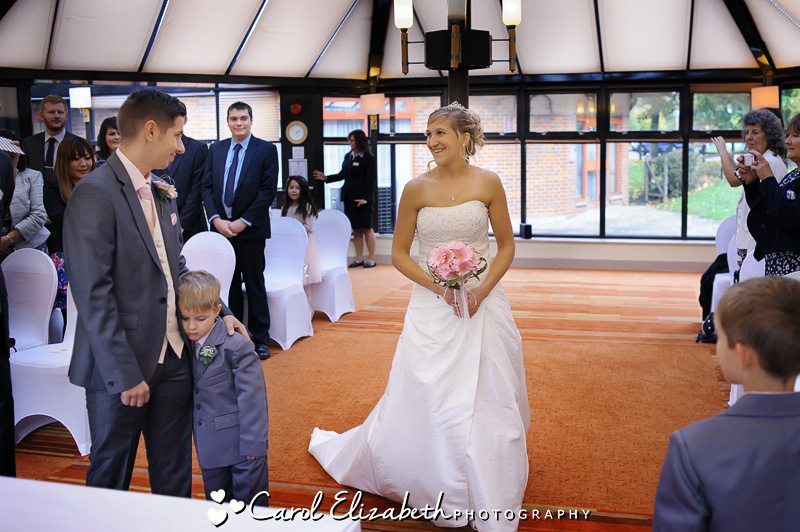 The Four Pillars Hotel Abingdon wedding venue is perfectly suited for couples who want to get married locally – there is a lovely big conservatory for the ceremony, and a lovely area for drinks before moving through to the reception room. 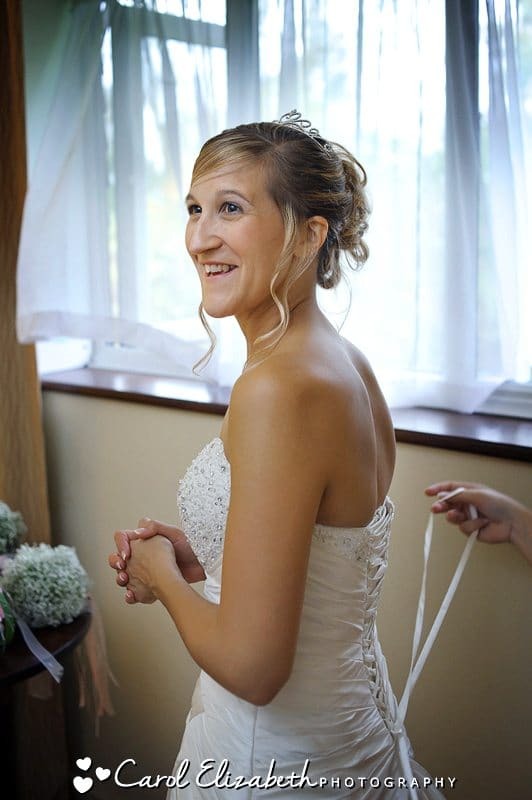 I met Nichola during the final stages of her preparations, where she was being laced into her dress by her 2 bridesmaids. 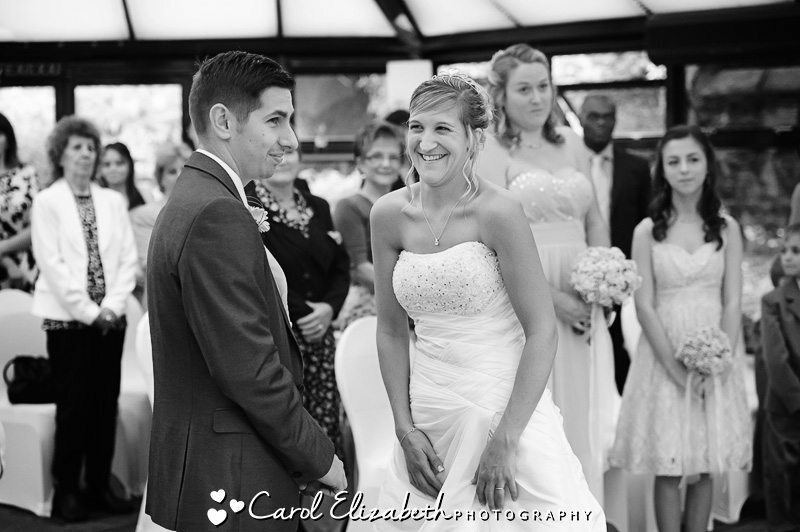 She was incredibly bubbly and excited and couldn’t wait to see Nathan at the alter! 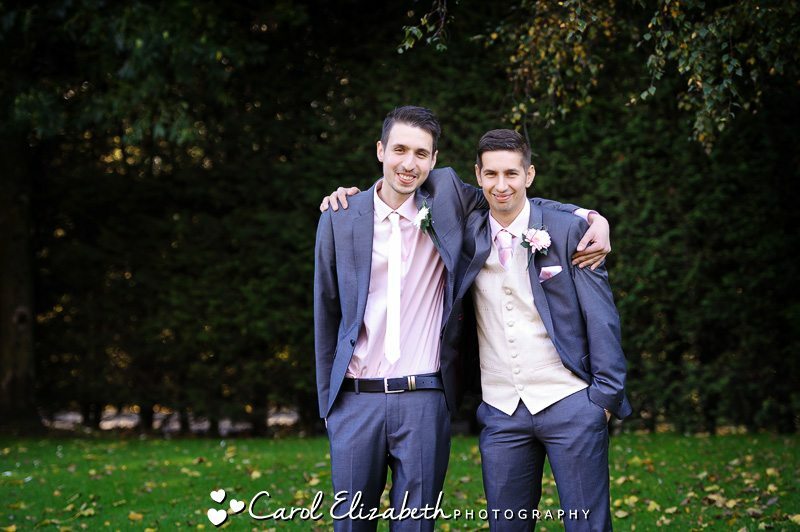 I managed a few quick portraits of Nathan with his brother and dad in the grounds of the hotel before the couple’s 3 gorgeous little boys arrived. 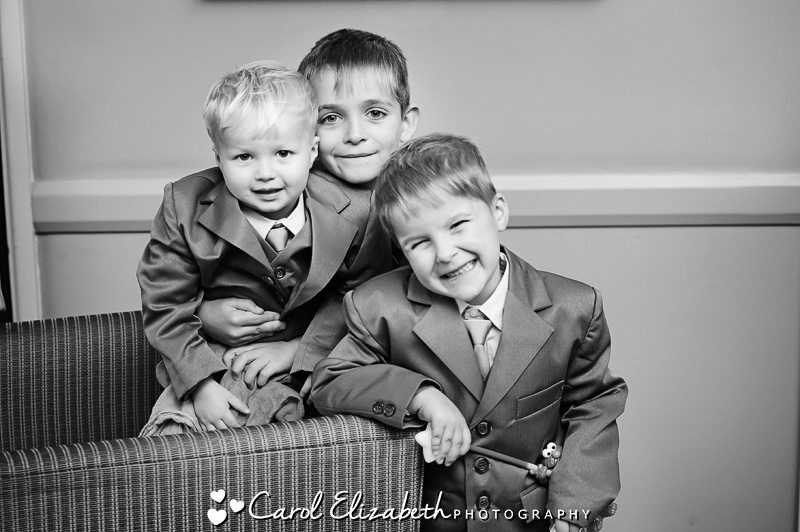 They were so well-behaved the entire day, probably the most well-behaved children I have seen at a wedding in a long time. 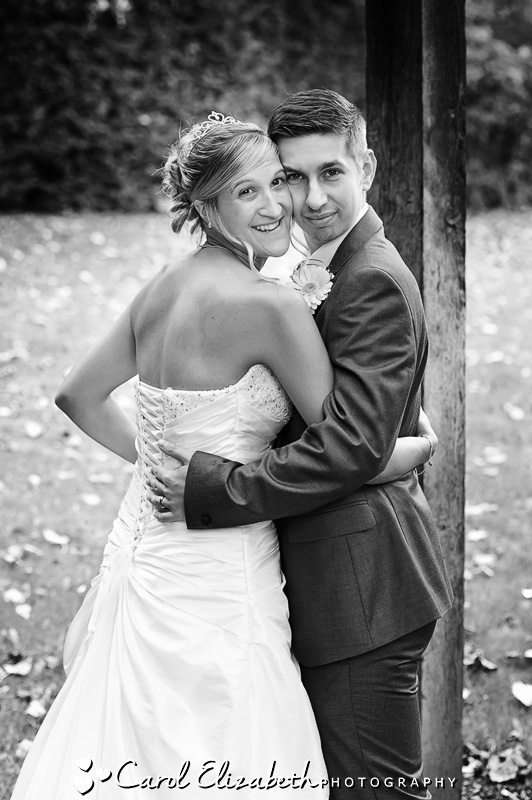 They really are adorable and posed so well for their photos. 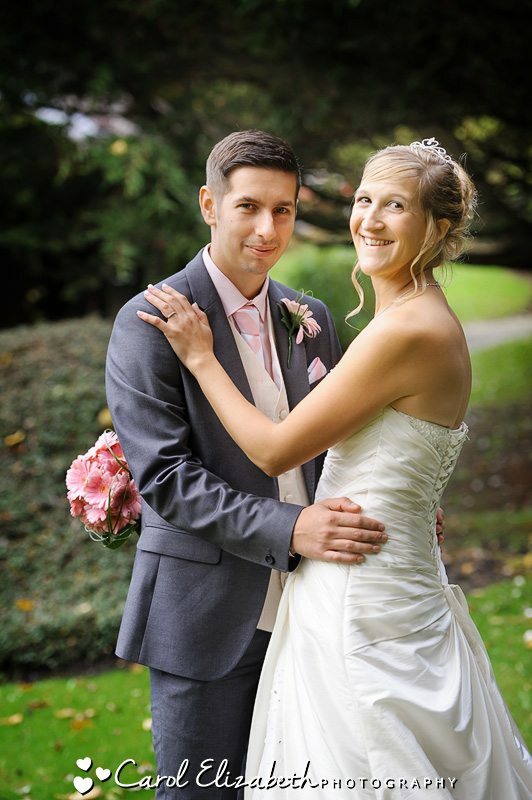 Time flew by and Nichola arrived for the ceremony, followed by speeches and signing of the register. 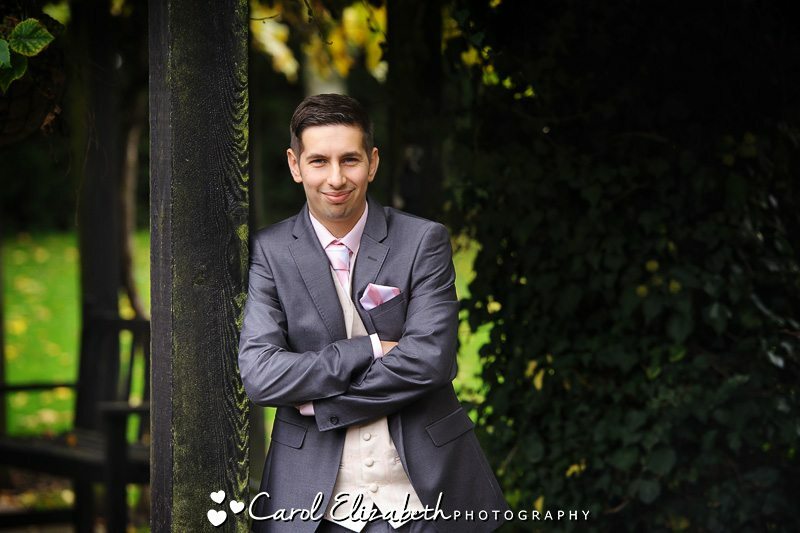 The rain stayed away long enough for some group photos in the grounds, followed by some portraits in the garden. 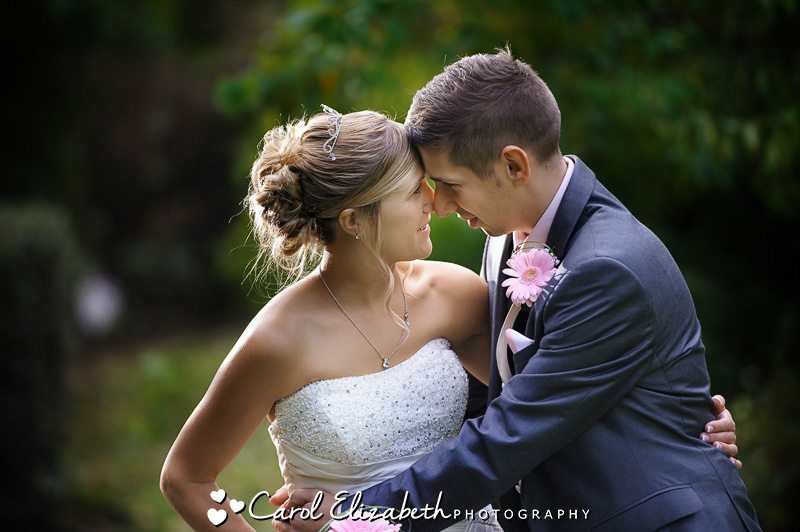 We were so lucky with the afternoon sun and have captured some lovely moments. 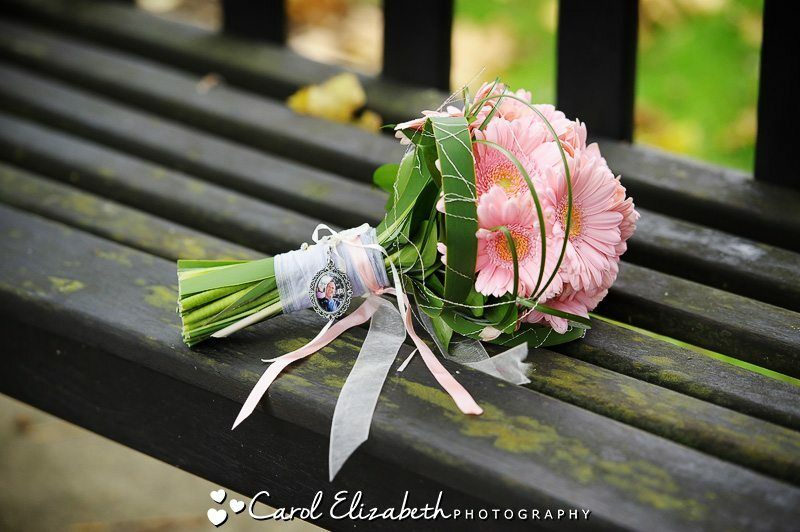 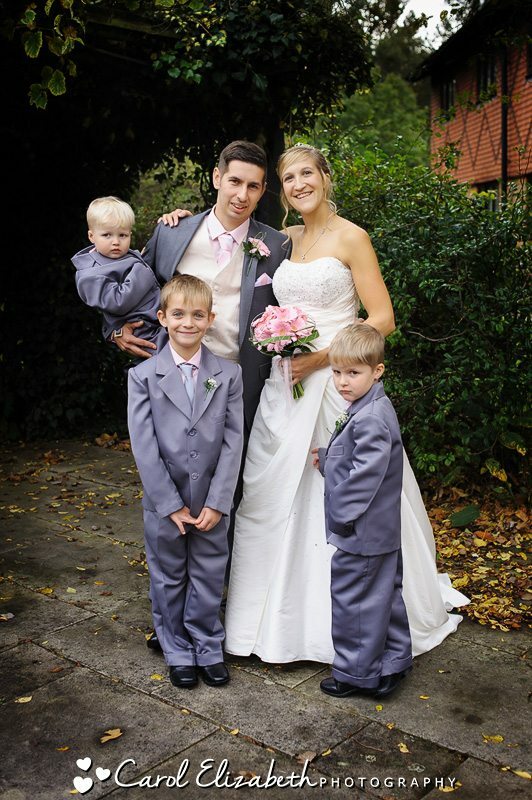 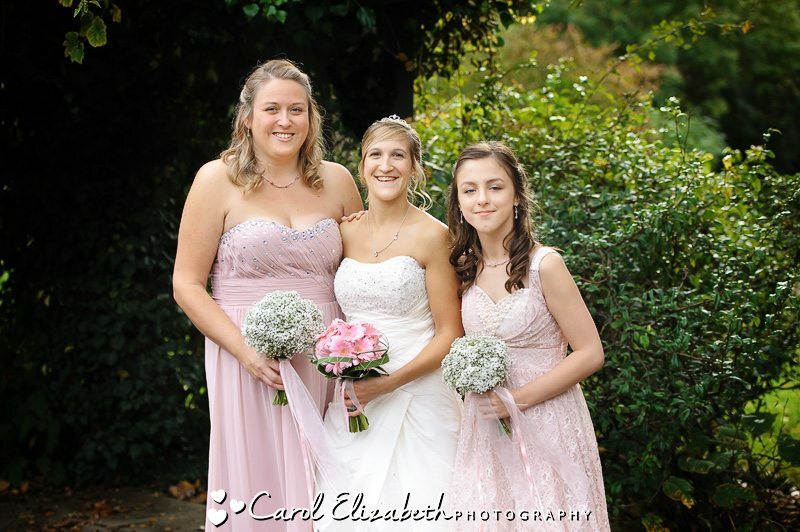 Are you having a wedding in Abingdon and looking for a Four Pillars Abingdon wedding photographer? 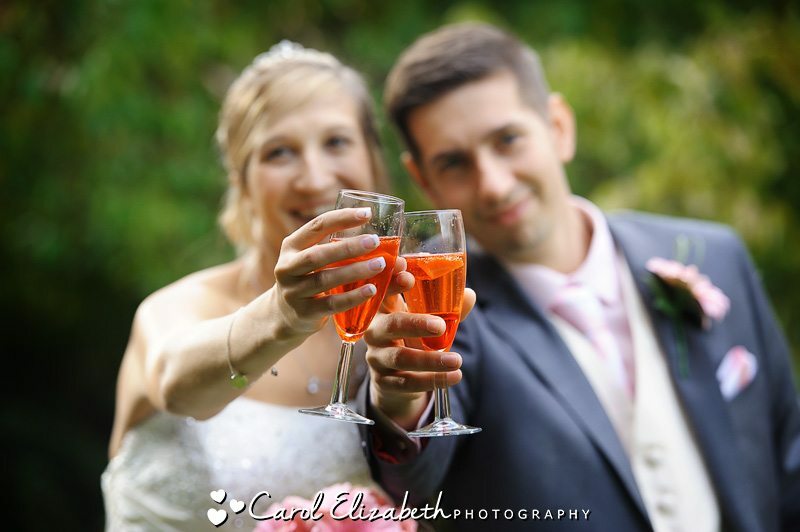 I am a wedding photographer in Oxfordshire and cover weddings across the county and the UK, and would be delighted to discuss you big day!